In 1989, Mitchell Gold and Bob Williams formed a furniture company based on the simple motto “comfort for all”. The company has thrived on that motto, as anyone who has sat on their American-made upholstery in the last 28 years is probably aware of. As you might imagine, Mitchell stays busy. Mitchell Gold + Bob Williams is environmentally responsible, ethical and wildly popular. Mitchell’s strong leadership and confident, bold choices in advertising and design helped his company blossom as many companies in our region were forced to close their doors. “Comfort for all” most obviously refers to the high-quality furniture the brand produces. But a stroll through the grounds of the business, located at the whimsically named “One Comfortable Place” in Taylorsville, makes it obvious that the comfort of his employees, as well as their families, is well-tended. A top-notch and highly esteemed daycare is on the premises. Having their small children close and safe is a tremendous comfort to his employees. So is the food. A chef prepares a large selection of delicious food every day, and all of it is prepared with health in mind. After getting in better shape, Mitchell wanted to offer his employees an opportunity to feel as good as he does. Good benefits and a nice atmosphere are key to happy employees, and he has more than 700 of those. It’s clear, however, that comfort for all isn’t just a company motto. Mitchell and his husband Tim have also woven that motto into the fabric of everything they do personally. Each of their passions seems to come back to that notion. Mitchell has been featured in the media, from the Today Show, CBS This Morning and CBS Sunday Morning to the New York Times, Time, Wall Street Journal, Fast Company, and Inc., but he remains humble, and his family sticks true to its goals. Tim’s passion is dogs. He sees dogs that need help, more help than most people would be willing or able to give them, and he helps them. Time and time again, he’s fostered injured dogs, tending to their needs meticulously until they are ready for a “furever” home. He wants for each dog a comfortable and happy life, and he dedicates so much of his energy to that. He works hand in hand with the Catawba County Humane Society. Zola, a sweet Doberman pup, is the family pet, and she is well-mannered and patient. That’s a good thing, because she helps train the foster dogs, teaching them how to behave. She’s also famous, featured in the Mitchell Gold + Bob Williams catalogs, as well as her own instagram account, instagram.com/amazingzola/. 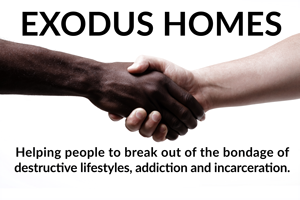 Mitchell and Tim are also passionate about Exodus Homes, a local nonprofit which provides supportive housing for recovering addicts and formerly incarcerated people who are returning to our communities from treatment programs and prison. This is an excellent service for the community, because support during that time is vital, and often lacking. Unsupported, these men are much more likely to return to prison or their addictions, and this program helps turn that around. The couple are internationally regarded in the LGBTQ community. Mitchell created Faith In America in 2006, with the intent to engage religious communities to end the harm to LGBTQ kids. This work takes them all over the world, and it’s safe to say they are making a difference. They are, again, seeking to make life more comfortable in meaningful ways. 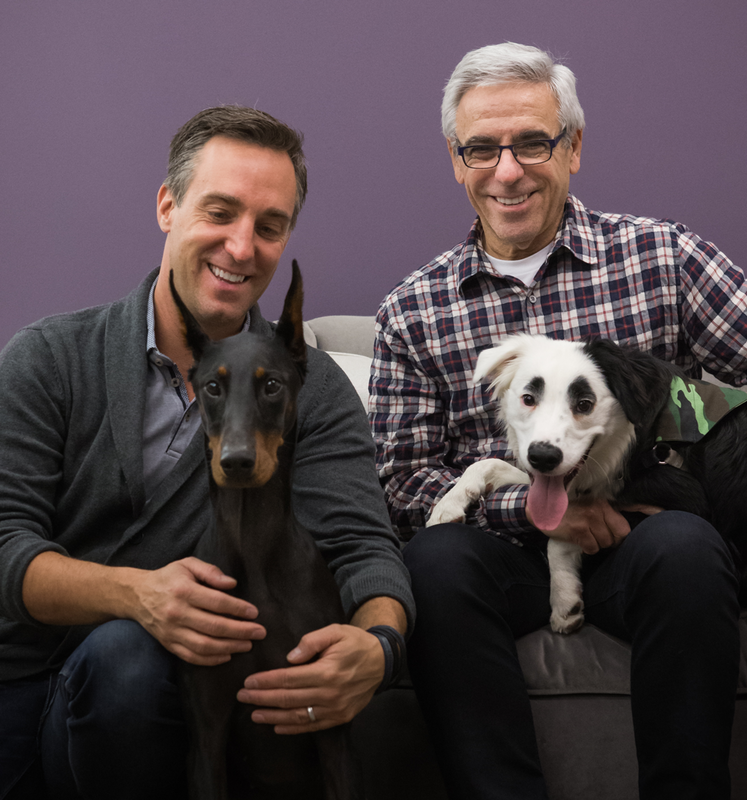 That second part of the definition of comfort, “the easing or alleviation of a person’s feelings of grief or distress,” is something Mitchell and Tim have truly made their personal goal. They are very effectively living the motto set by the Mitchell Gold + Bob Williams company in 1989. And the Mitchell + Bob Williams company continues to help keep alive the tradition of exceptional furniture making that the foothills enjoy, while supporting many communities and causes that matter. We applaud them. Tim is passionate about helping dogs, and he does that locally by donating time, money, and effort to the Catawba County Humane Society. This humane society was started in 1971 and ran for 3 decades staffed only by volunteers. In 2000, a grant from the Beaver Foundation allowed the organization to form a board and hire full-time staff. They quickly set to building a no-kill shelter and have been shining stars in the region every since. The Humane Society of Catawba County always needs volunteers and supplies. Walking dogs is enjoyable and there is great need. You can learn more at: http://www.catawbahumane.org/. Mitchell founded Faith in America in 2006. The goal was to end the centuries of using religion and religious teachings to justify discriminating against and marginalizing the LGBTQ community. The organization uses facts and logic to kindly show religious leaders that they are causing irreparable damage to some of their flock. Faith in America is dedicated to influencing media and faith community narratives regarding sexuality. The ultimate goal for Faith in America is to remove being gay from the “sin list.” Until that goal is reached, the organization will work to soften the hearts of the religious community with statistics that make clear the damage being done. Find out more at faithinamerica.org. Mitchell co-founded Mitchell Gold + Bob Williams, and the furniture is top-notch and world-renowned. The business was started in 1989 and has locations around the world. The furniture is manufactured in Taylorsville, with over 700 local employees helping to make that happen. With good benefits, a highly ranked day care center, and a chef on staff at Cafe Lulu, the employees are very happy. Happy employees make better furniture, and they employees here have furniture making in their blood. The furniture created here is sent to over 30 stores, in addition to being sold on line. A hospitality division sells to hotel chains and eateries. While many local furniture manufacturers struggled to remain profitable during the 2000s, Mitchell Gold + Bob Williams thrived, and is thriving even more today. $1000, assuming we approve of the content.